Opened in May 1995, the 18-hole, par-70 Leas course at Etchinghill Golf Club soon gained a popular reputation among both members and visiting golfers. 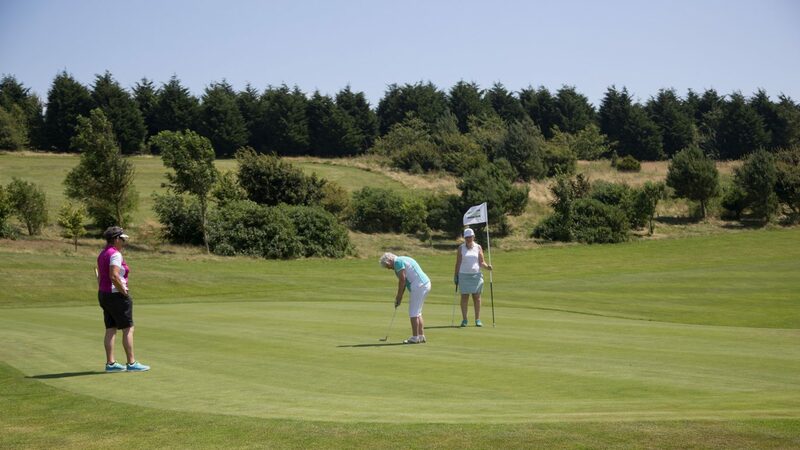 Carved into the hillside overlooking the Elham Valley, the original 18-hole course is distinctly different to the additional nine holes Valley course, which extend over stunning parkland. The extensive facilities at Etchinghill include a floodlit, 11-bay covered driving range, nine-hole academy course, practice putting and chipping areas. With excellent tuition available for both adults and children, Etchinghill provides a pleasant and relaxed setting in which to learn and practise the game. Off the course, the extensive clubhouse offers a large dining room, bistro, spike bar and lounge, and facilities for both corporate and private hire. Pentland Golf offers all societies retail discounts, an adverse weather guarantee and one central booking point. Book today and experience Pentland Golf’s unique contemporary approach to your game.